This is a High Quality LED Identification Bar Manufactured by Tec Niq, which means it comes with a Lifetime Warranty. This LED Id Bar is 15 1/2" Long Overall, and Features a two screw mounting system, one at each end (screws not included). For the most part this LED Bar is a surface mount, other than the Center Back portion of this Light, where the wires extrude from ( reference the backside picture). To mount this Light, you will only need a small hole for the Wires. 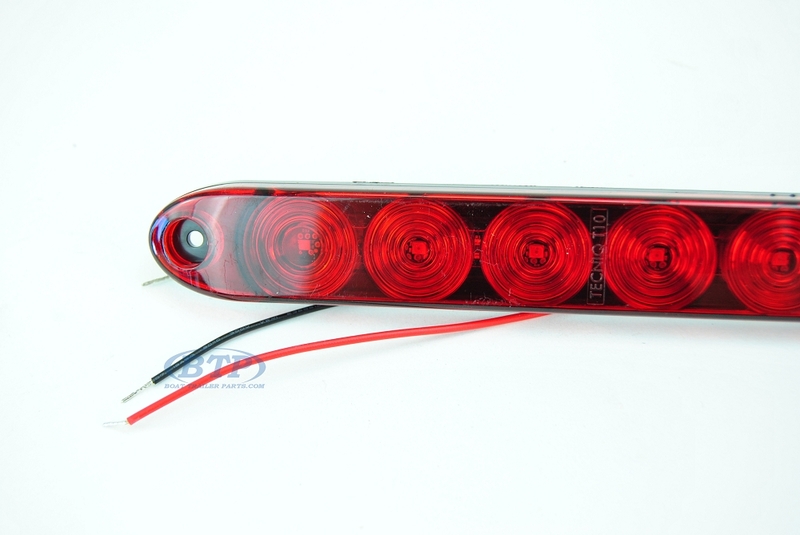 This Light can also be used as a Turn Signal, because it is wired to operate The Stop, Turn, and Tail Light functions of your Trailer. This means that you can use this Light on the Top Center of your Cargo Trailer, or on either Sides of your Trailer. Also, this is a Waterproof, sealed body, that is shockproof and immune to vibration, so using this Id Bar on your Boat Trailer is perfect.